PNC Music Pavilion - Charlotte will be rocking with a concert by Bob Seger & The Silver Bullet Band. ConcertFix has many ticket options that start at $41.00 for the PARKING section and range up to the most expensive at $2014.00 for the ORCH 3 section. The event can be seen on May 16, 2019 and is the only Bob Seger & The Silver Bullet Band concert scheduled at PNC Music Pavilion - Charlotte at this time. We only have 2285 tickets left in stock, so get them as soon as you can before they get sold out. Purchased tickets come with a 100% moneyback guarantee so you know your order is safe. Give us a shout at 855-428-3860 if you have any questions about this exciting event in Charlotte on May 16. Bob Seger & The Silver Bullet Band will be visiting PNC Music Pavilion - Charlotte for a big concert that you won't want to miss! Tickets are now available at healthy prices here at Concertfix where our goal is to get you to the concert even if it's sold out at the venue. We want you to see the show from up close, which is why we are a top seller for front row and premium seats. If you need them last-minute, make sure to get eTickets for the quickest delivery so you can get them sent to your email. All sales are made through our safe and secure checkout and covered with a 100% money-back guarantee. Will there be Bob Seger & The Silver Bullet Band VIP passes for the Charlotte PNC Music Pavilion - Charlotte concert ? 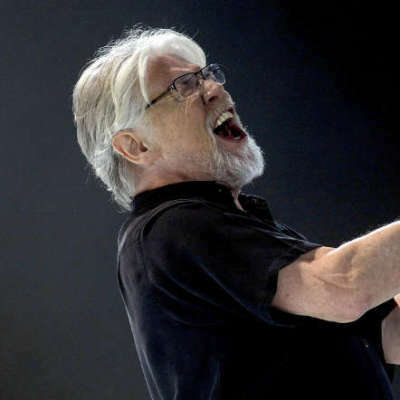 To view if there is any Bob Seger & The Silver Bullet Band backstage passes for the performance at PNC Music Pavilion - Charlotte in Charlotte, view our ticket choices and review the end of the ticket list. What can the crowd expect to hear at the Bob Seger & Silver Bullet Band performance in Charlotte? "We've Got Tonight (Live)" is always a fan favorite and will probably be heard at the Bob Seger & Silver Bullet Band Charlotte show. Plus, you may hear Bob Seger & The Silver Bullet Band play "I Wonder," which is also very crowd-pleasing.